Would you like to walk into a restaurant that does offers you lip smacking food, but nothing else to make your experience enjoyable? What about that relaxing atmosphere? That creative setup? 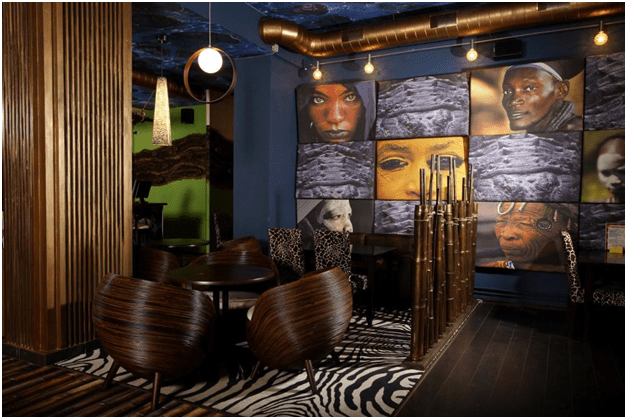 The noteworthy interior – something that enhances the dining experience! If it weren’t for the experience as a whole, people would have never left the comfort of their homes to eat out at a restaurant. Every single element of your restaurant contributes to the overall ambience you provide to your customers. And believe it or not, sometimes this ambience is as essential as the food itself – if not more. So what is it that you need to concentrate on to create the perfect ambience in your restaurant? Let’s find out. The concept of your restaurant venture narrates a story to the customers. The best restaurant concepts blend the menu, décor, style, and theme into an atmosphere that intrigues the customers, and makes them want to come back for more. Every little thing; from the menu card, wall décor, lights, restaurant furniture, even the accents of your staff should depict the scene you want to create for your customers to experience. This is crucial. Cleanliness of your restaurant and adherence to hygiene should be top priority for you as a restaurant owner. Well-maintained and spotlessly clean washrooms, properly sanitized tables, organized and hygienic kitchen, properly washed and clean tableware – everything adds up to the reputation of your restaurant. Make sure the external area of your eatery is also kept clean. Lighting is a key element of setting the mood of your restaurant. Again, it needs to complement the concept of your restaurant. Choose your lighting according to the tone you want to set; subtle and dim for a romantic setting; bright and cheerful if you’re running a fast food place; and so on. Also give consideration to how you want to light your restaurant at different meal times. It is important to capitalize on the sense of touch! Adding textures to your restaurant in shape of fabrics, surfaces, walls, and décor enhances the experience of ambience for the customers. Don’t shy away from trying out different textures, as long as they are in harmony with your concept. A well designed menu card always reinforces the ambiance of your restaurant. Be creative, and add a touch of individuality by personalizing a conventional mundane menu card into one that is more in line with your restaurant’s theme. Normally we’d say ‘that’s all folks!’ But it isn’t. The list of remaining elements that contributes to creating an ideal ambience for your restaurant will be continued in yet another blog to follow. Till then, take a look at all the restaurant equipment and supplies we offer at our online store, or get in touch with us by dialing 877-254-5449. Stay tuned!